Other Products: White Cardstock, Mirror Gold Cardstock, Clear Dry Glue, 3D Foam Tape, Green Moss, Dried moss, Distress Ink - Aged Mahogany, Martha Stewart Score board, Glue gun. 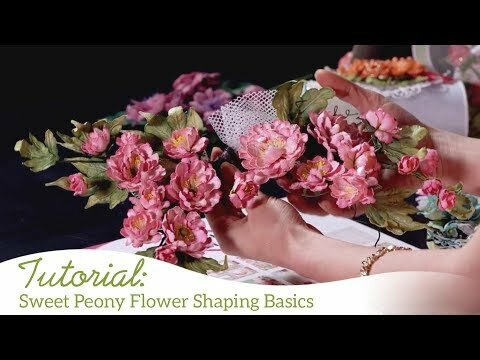 For more tips on creating with the Blushing Rose collection, watch the tutorial at https://youtu.be/HVQjbz25S2I. Instructions: Click here to view a a larger photo of this project. For creating the envelope box cut white cardstock 11 x 11". Position the envelope attachment (stored on the back side of the scoring board) into the board and place one corner of the cardstock so that it touches the side of the board. Make sure that it sits snugly against the bottom edge of the triangle. Score three sides at 4 inches and 5 inches and one side at 5 inches only. Fold on all the score lines and snip out the corner triangles till 5-inch score line. Mat all the sides of the envelope box with pattern paper from the collection leaving 1/4-inch border. Die cut gold mirror cardstock using Ornate Pocket Accent die and adhere with clear dry glue on that flap of the envelope box which is scored at 5 inches only. Once done attach together other side flaps and bottom flap placing bottom flap on top. For Peony flowers - stamp with Large and Small Sweet peony stamp sets with Archival ink Sepia and cut them using coordinating dies. 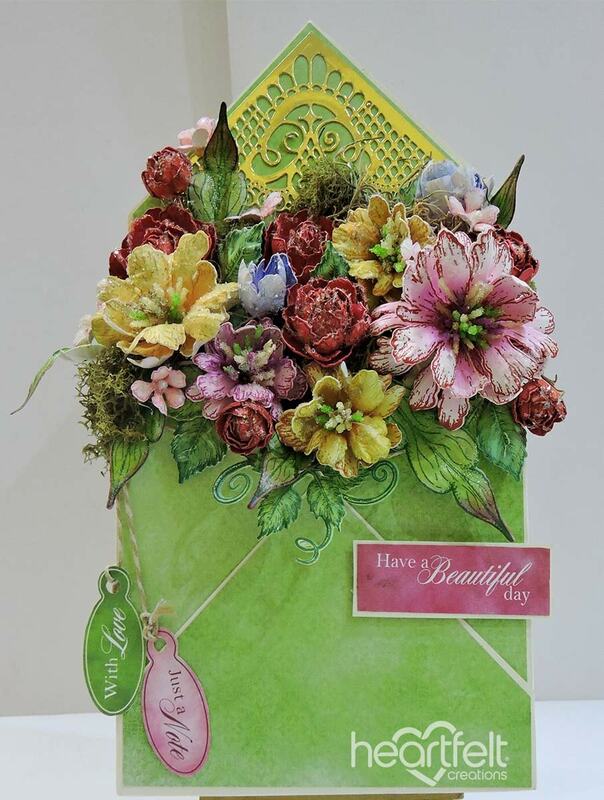 Color the flowers with Archival ink - harvest and ColorBox berrylicious, make sure to color the back of the petals also. For Rose flowers stamp white cardstock with Classic Rose Cling Stamp set using Archival ink - Vermillion and die cut using coordinating die. Color both sides of the petals using same ink. For shaping the flowers see Emma Lou's Video. 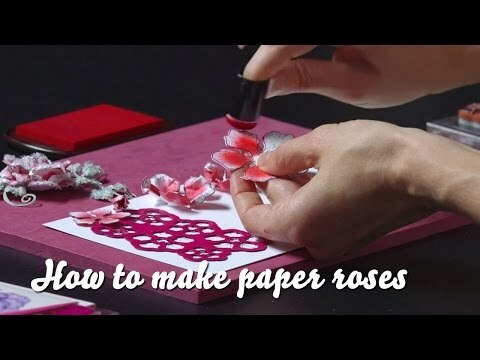 For filler flowers use smallest size petals from Classic rose cling stamp set and color them with Color box ink Rose coral. Shape the flowers using Golf Tool. Leaves - Stamp bunch of leaves from Classic Rose Stamp and Sweet Peony stamp sets with Archival ink library green, cut the images with coordinating dies. Color them with Archival ink - Olive, library green and Color box ink - Lime pastel. Fill in waste papers inside the envelope box leaving upper 1/4 portion empty. Adhere green and dry moss first with glue gun. Arrange flowers and leaves as shown. Cover the flowers with Crystal clear glitter and finish off the box with a sentiment and tag cut out from the paper collection.